Camera switch-off could kill hundreds | What Car? Switching off the UK's speed cameras could result in 800 more deaths or serious injuries each year, according to a new report. The research for the RAC Foundation was carried out by Professor Richard Allsop of University College London and found that speed cameras provided safety benefits across the wider road network not just the sites at which they are situated. The study also claims to dispel beliefs that the cameras were unpopular with the public and that they were merely an exercise in Government revenue-generation. Professor Allsop said that a 'large majority' of the public had consistently backed the cameras, while in 2007 just 4 out of every 60 raised by penalties from them was net income to the Treasury. The RAC Foundation's director, Professor Stephen Glaister, said: 'The current crisis in funding for speed cameras and road safety in general leaves road users at real risk. 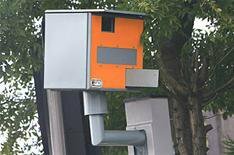 The RAC Foundation is to send copies of the report to every highway authority in UK, urging them to rethink any plans to scrap speed cameras in their area. Road safety minister Mike Penning said it was up to local councils to decide how to implement safety measures in their area. He said: 'We ended central Government funding for new fixed speed cameras because we don't believe we should dictate to councils that they use them as the default solution in reducing accidents. 'It is not true however that the government has cut all funding for road safety, rather we have removed ring-fencing from local authority grants so that councils are able to set their own priorities.